Tucked beside a tributary of the main Salmon River near Riggins, Idaho, Rapid River Hatchery is the largest collecting, spawning and rearing facility of spring Chinook salmon in Idaho. 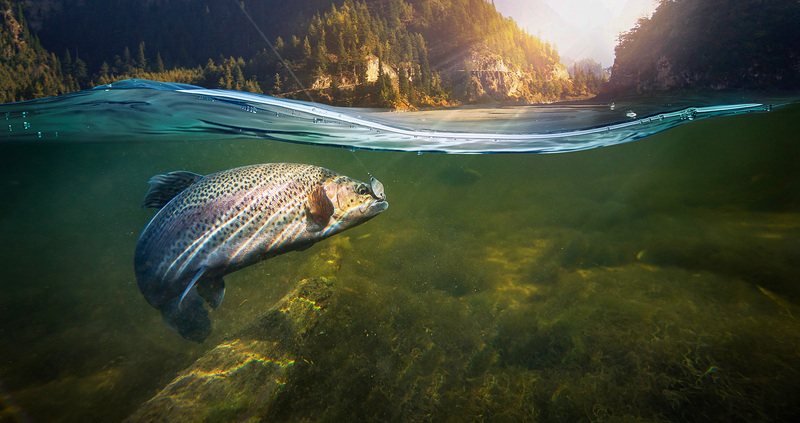 The hatchery was constructed in 1964 by Idaho Power as part of their hatchery mitigation program and has been rated one of the most successful hatcheries in the Pacific Northwest. Rapid River Hatchery produces 3 million spring Chinook salmon smolts (juveniles) annually for release into the Snake, Little Salmon, and Rapid rivers. Juvenile spring Chinook salmon spend nearly two years at the hatchery. They grow to a length of four to six inches and are then released for their 45- to 60-day, 600-mile journey to the ocean. They return to Idaho as adults one to three years later where they contribute significantly to both sport and Native American fisheries. Rapid River Hatchery is owned and financed by Idaho Power and operated and staffed by the Idaho Department of Fish and Game. For additional information about the hatchery, visit the Idaho Department of Fish and Game’s website.